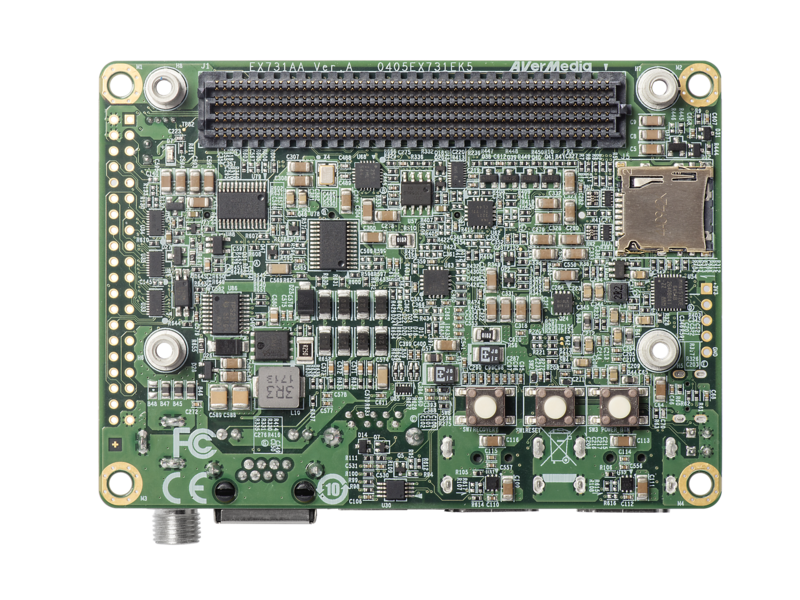 AVerMedia’s EX731-AA Carrier for NVIDIA® Jetson™ TX1/TX2 is designed for use in Smart Surveillance. This product provides a stackable compact design by following Pico-ITX dimension (100mm x 72mm, 3.9” x 2.8”) and support EX731 daughter boards family to provide extra I/O, such as 4x USB3.1 Gen1, 4x Gigabit Ethernet RJ-45, 2x USB3.1 Gen1 + 2x Gigabit Ethernet RJ-45, 2x M.2 Key B+M slots, or 2x Mini-PCIe slots. 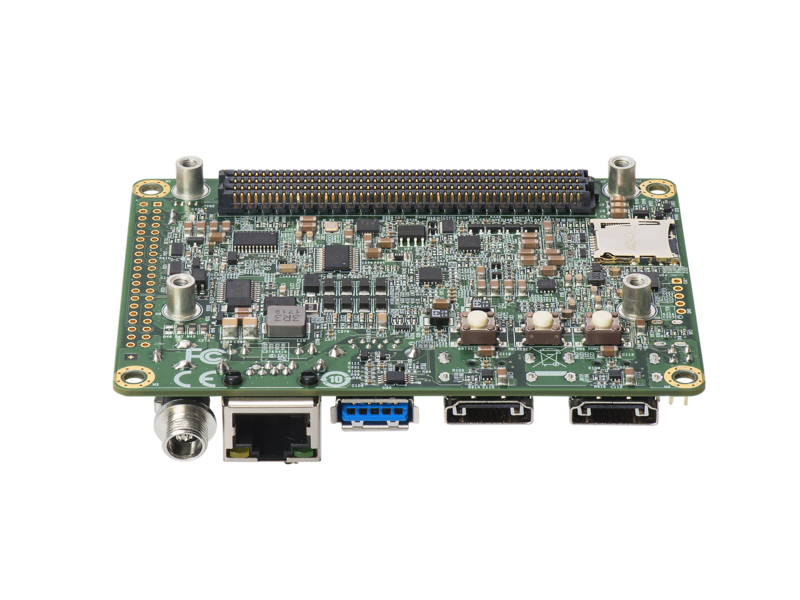 The AVerMedia’s EX713-AA design includes 1x HDMI-out (TX2 support 2x HDMI-out), 1x USB 3.1 Gen1, 1x Gigabit Ethernet RJ-45, 1x USB OTG, 1x micro SD card slot, and 40 pins of I/O extension with 1x 3.3V UART, 1x SPI, 1x I2S, 1x I2C, and 7x GPIOs. This carrier is able to equip a customized chassis with fan cooling system. 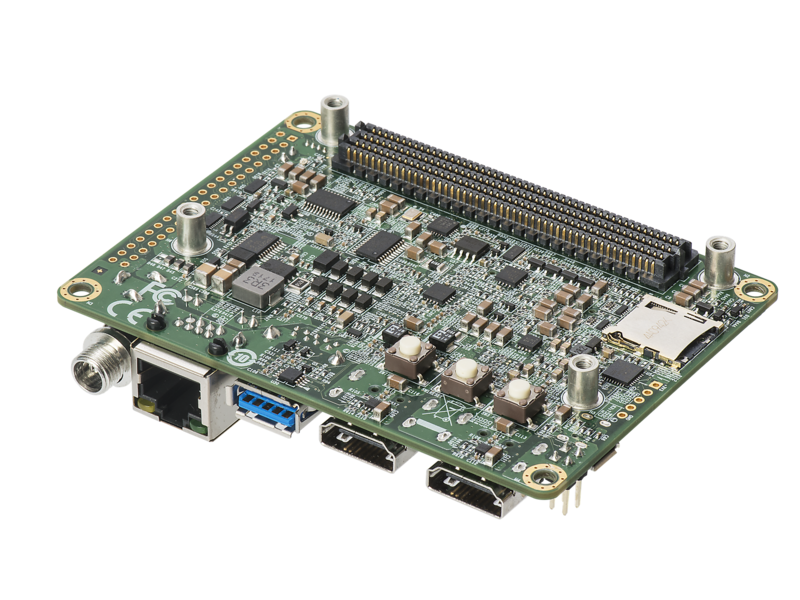 It is one of the best compact Application Ready Platform by supporting NVIDIA® Jetson™ TX1/TX2 for you to run your edge computing algorithms and deploy as a product into various potential market rapidly.